The first sighting of a strange flying object recorded in the country was in La Plata. An intriguing episode took place in Tolosa. A story enshrouded in mystery and fascination. On June 29, 1947, a U.S. pilot claimed having run into nine saucer-shaped shiny objects in the air. Ever since then, the term UFO (Unidentified Flying Object) became official and it was recorded in the various similar, inexplicable episodes that took place all over the world. Nearly 1500 cases have been recorded in the country, evaluated through a complex method of qualification that measures the reliability of the data. Our city is not alien to the phenomenon, which became a passion to many: a year ago, the Centro de Estudios de Fenomenos Aeroespaciales was formed. Carlos Ferguson is a participant in this forum, with over 40 years’ experience in the subject, as well as being the director of the Red Argentina de Ovnilogía. “The first official case recorded in Argentina occurred in La Plata,” Ferguson told Hoy. It was in July 1947, shortly after the flying saucer boom in North America. “It was a simple sighting. But on the next day, another case occurred in Mar del Plata,” says the expert. There were 1470 UFO reports nationwide since 1947, of which some 150 display a high reliability score. “Generally, there is an 80% of confusion with meteorological phenomena,” Ferguson observes. But the in the remaining 20% the data becomes intriguing. “Out of this total, the vast majority are high altitude sightings without much weight. But there is a 15% of incidents in which physical effects were left, making the case interesting.” In this case, marks on the soil or electrical disturbances are counted, as well as photographs or radar evidence, among others. These are followed by a small percentage of “close encounters of the 3rd kind”, in which witnesses see a humanoid figure, and on scarce occasions there are “abduction” incidents. These are less reliable as they generally involve the testimony of a single individual. 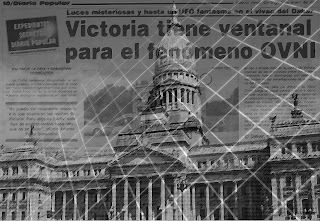 Argentina is abundant in examples, but one particular case that struck the researcher was the 2007 Tres Arroyos incident. It all started when two police cruisers were alerted by residents of the community of Irene about the sighting of a strange object. When the first patrol car arrived, the officers came across a UFO. And as if this wasn’t enough, one of the police officers (surnamed Bracamonte, age 60) saw a humanoid figure. “The squad cars were died, and the officers suffered physical effects,” says Ferguson. In fact, Bracamonte complained of not having received enough psychological care following his experience. We have 51 cases involving encounters between pilots and UFOs. The expert has just published “Pilotos y Ovnis en Argentina”. 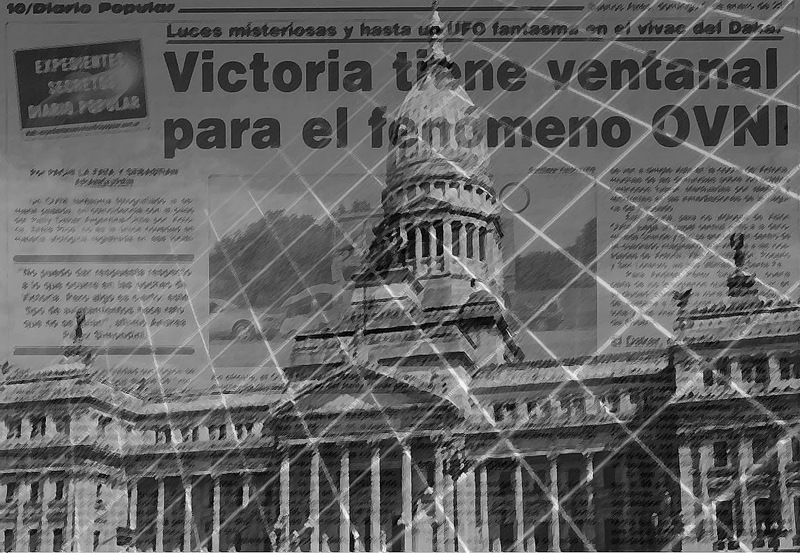 Out of these episodes the Bariloche Incident (31 July 1995) is among the most disquieting. The pilot described the UFO as a metallic craft measuring 30 meters in diameter that placed itself some 40 meters from the aircraft during its descent. At the same time, a blackout engulfed the city of Bariloche. “Pilot Jorge Polanco remained extraordinarily calm, and managed to get out of the situation.” The object turned, accelerated and went away. “They saw it make a right angle and vanish. There is no human aircraft able to make such maneuvers,” says Ferguson.